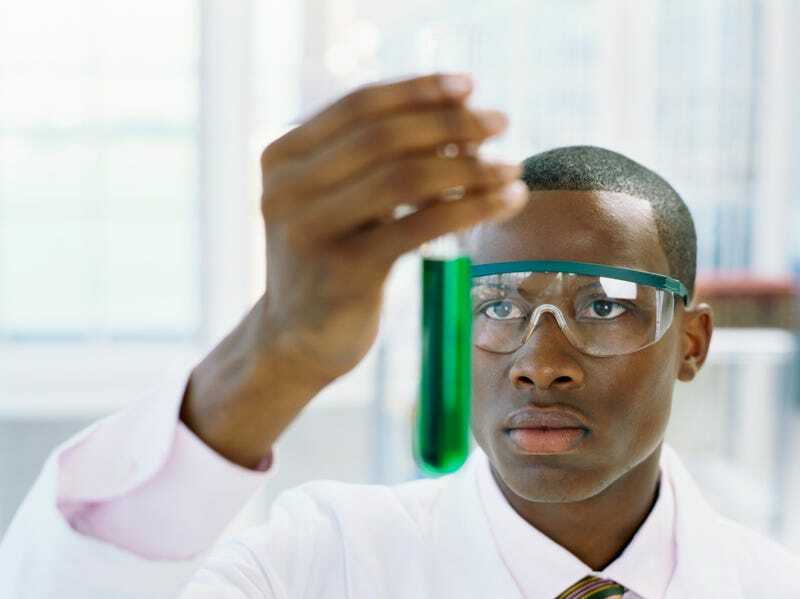 No blacks received doctorates in a number of science-related fields. Fresh from our "Good News, Bad News" file, the Journal of Blacks in Higher Education is reporting that in 2009, 49,562 doctorates were awarded by U.S. universities. There were 2,221 black U.S. citizens or permanent residents in this country who earned a doctorate in 2009. This is an all-time high, which is a reason to celebrate. There's the good news. The bad news is that African Americans are grossly underrepresented in math and the sciences, earning only 1.6 percent of all doctorates awarded in the physical sciences by American universities. The 25 blacks who earned a Ph.D. in mathematics were only 1.6 percent of all doctorates in the field given out by U.S. universities. African Americans earned only 1.8 percent of all doctorates in engineering. In 2009, 1,418 doctorates were awarded in the fields of astronomy, astrophysics, theoretical chemistry, paleontology, number theory, logic, marine science, chemical and physical oceanography, nuclear physics, nuclear engineering, agronomy, horticulture, wildlife/range management, animal breeding and nutrition, Spanish and the classics. Not one of these 1,418 doctorates was awarded to an African American. This isn't really new, but the fact that fewer and fewer African Americans are seeking doctoral degrees in these areas means that there will be fewer black scientists and professors in the classroom and the various fields. With so much of the future dependent on these areas, there is a real concern that blacks will be left behind. There are a host of reasons that these types of results persist — access, tracking, low undergraduate graduation rates, and the persistent stereotype that blacks and science and math don't mix. If this trend continues, who will be our next Charles Drew, Rebecca Cole, Percy Julian, Benjamin Banneker, George Washington Carver or Madam C.J. Walker? Read more at the Journal of Blacks in Higher Education.